Invariable, once I write and publish a post about my latest finish, I remember some little detail I really had wanted to share with you all. And with Yay or Nay, it was where I got the idea for the quilting. I bet you can guess. Right there in the fabric itself! 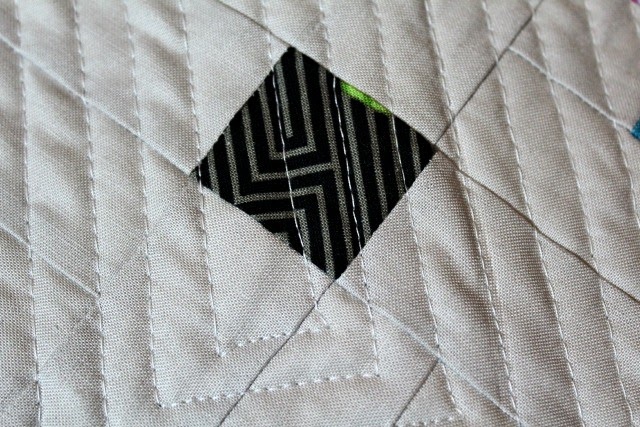 I loved that uneven grid in the borders as I was sewing with it, so it made perfect sense to mimic it in the quilting. 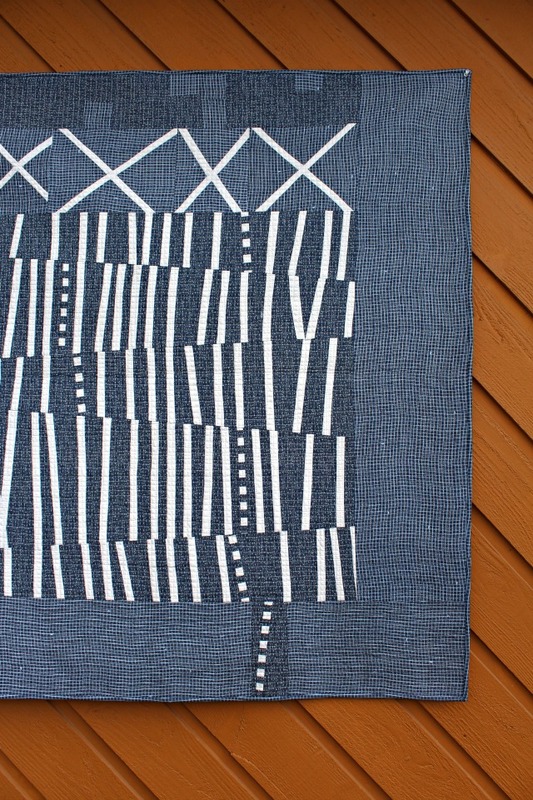 Now most of the time, I choose a quilting pattern that reflects the design of the quilt in some way, and sometimes I go with an 'overall' geometric design that just feels right, like organic or straight-line quilting or a grid. So it's a treat of sorts when I can pull a design from one of the fabrics. Here's another example of that, in my mini Still Swooning. See that black square in the center of the quilt? 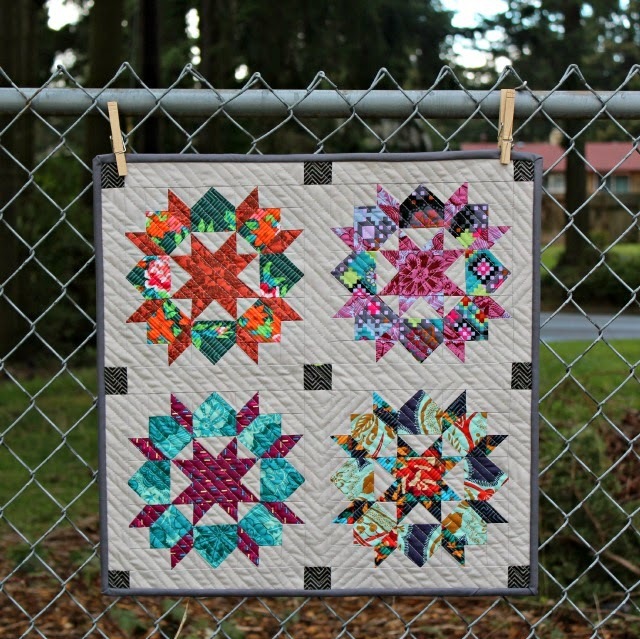 The quilting design all came from that, and I shared about it in more detail in this post, if you're interested. So just a reminder that there's more than one element of a quilt that can influence the quilting you choose to do. What do you think influences you the most? Very nice, Debbie! 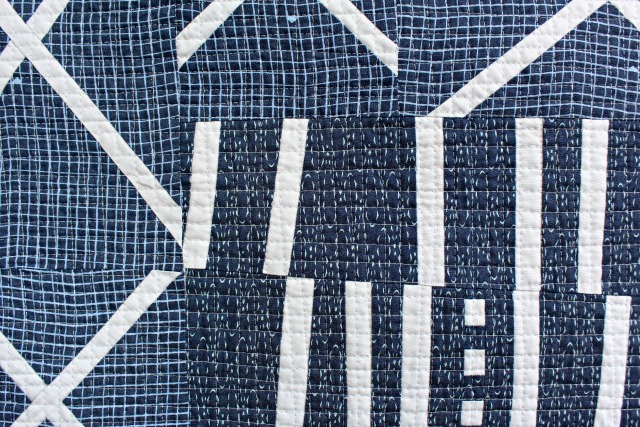 You come up with so many great ways to utilize the impact of straight-line quilting. I love it! My influences pretty much come from longarm quilters as I try to copy the beauty and precision of their quilting on my domestic machine. Keep up the beautiful work! I am influenced by the fabrics, the design of the pattern, the color combinations, and lastly the quilting. I like your work.